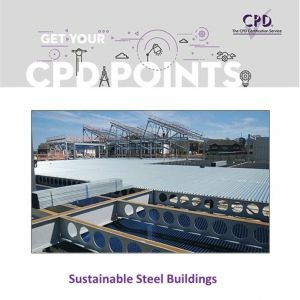 Steel for Life partnered with Building magazine in 2017/18 to deliver a series of written CPD modules. Each module contains a full technical article followed by a link to a multiple-choice questionnaire which can be completed on-line. All are fully CPD accredited. The series is aimed at design and construction professionals and now covers the following topics. 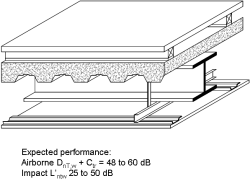 Much is known about structural steelwork in fire. Rigorous testing, including full-scale building tests in the late 1990s, has led to the development of robust modelling and analytical techniques that are subject to constant refinement. 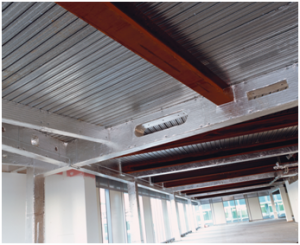 Fire protection accounts for approximately 10-15% of the cost of a steel frame for a typical multi-storey commercial building. Other required documentation such as method statements, construction programmes and client letters etc. The series is intended to assist candidates preparing for the Institution of Structural Engineers chartered membership examination. Primarily aimed at engineers and architects, these free online technical CPD seminars (produced at the end of 2012) last around 50 minutes, after which users are invited to take a test to check their learning. A certificate can then be downloaded as proof of completion. This presentation sets out the principal sustainable construction drivers in the UK and identifies key things that structural engineers can do to deliver sustainable buildings. It covers operational carbon emissions, building assessment, waste, materials and planning. Summary results from the Target Zero programme are presented and steel construction sustainability credentials demonstrated. This presentation highlights the more significant technical features of EC3, highlighting the major changes in presentation compared to BS 5950. The presentation covers the Eurocode system of determining of ultimate loads and then introduces the Eurocode approach to the assessment of frame stability and choice of steel sub-grade. 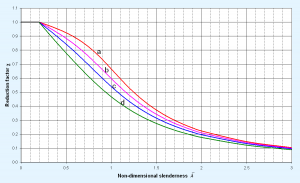 An introduction to the calculation of member resistances is given, including the calculation of flexural buckling resistance (members in compression) and lateral-torsional buckling resistance (members in bending). A number of useful support resources are highlighted. This presentation is complemented by the presentation of worked examples to EC3. 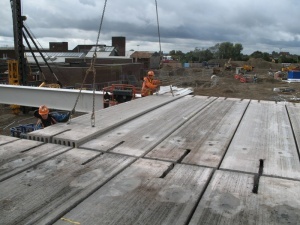 Erecting precast floor planksImage courtesy of Severfield (Design & Build) Ltd.
A series of numerical worked examples are presented, demonstrating the application or EC3 to common design situations. The use of the expressions given in the Standard is demonstrated, but also the use of look-up tables and other support resources. Each worked example is complemented by using the resistance tables in the ‘Blue Book’. The examples cover the design of struts, restrained beams and unrestrained beams, and members subject to both compression and bending. The examples incorporate the influence of the UK National Annex. This presentation examines the regulatory background to fire precautions in buildings in the UK and the most common methods of meeting the demands of these regulations. It describes the most common forms of structural fire protection and explains the role of fire testing. It also describes the special case of fire precautions in single storey buildings. Finally, the role of fire safety engineering is explained and its role in providing more economical solutions for fire safety in buildings than is explored. 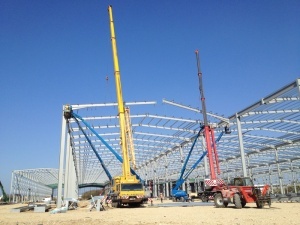 Cranes erecting portal frames Image courtesy of Severfield (Design & Build) Ltd.
Portal frames are an efficient, cost effective structural form for single-storey buildings, justifiably representing a large share of the market. This very common form of structure involves a range of structural behaviour that must be recognised and correctly addressed by designers. This presentation presents an overview of analysis and design, focussing on the key design consideration and critical detailing requirements that should be addressed in portal frame construction. The presentation covers the design rules as presented in EC3 and the UK National Annex. Should the Designer adopt S275 or S355 grade steel as their standard for sections? 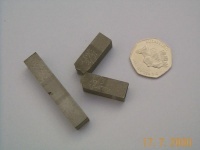 Comparison of hot rolled with cold formed hollow sections and issues to be considered before substituting one for the other. Why subgrade selection is important and the requirements of both BS5950 and EC3. This presentation is designed to provide essential information and guidance for those concerned with the corrosion protection of structural steelwork. 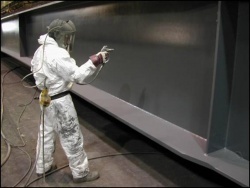 It covers how corrosion occurs, design detailing, methods of surface preparation, paint and metallic coatings, specifications and the importance of inspection and quality control. Weathering steel is a high strength low alloy steel that in suitable environments forms an adherent protective rust ‘patina’, to prevent further corrosion. The corrosion rate is so low that bridges fabricated from unpainted weathering steel can achieve a 120 year design life with only nominal maintenance. Hence, a well detailed weathering steel bridge in an appropriate environment can provide an attractive, very low maintenance, economic solution in many locations. This seminar, highlights the benefits of using weathering steel , describes the limitations, and comments on both the material availability and the appearance of such bridges. It also provides advice on a range of issues including, design and detailing, fabrication and installation, inspection and maintenance, and possible remedial measures should corrosion rates exceed those anticipated at the design stage. Reviewing industry standard practice for vibration, this presentation helps Designers to understand the science behind those general rules of thumb. It then walks through the simplified approach for Design of Floors for Vibration laid out in SCI Guide P354, gives a quick method to determine whether vibration will be an issue for a proposed floor and points towards guidance for special cases such as gymnasia, hospitals and car parks. This presentation provides information on the acoustic detailing of steel framed buildings for sound insulation. The presentation begins with some fundamentals about sound and how it behaves before moving on to look at the regulatory requirements relating to sound insulation in buildings and then some of the many solutions that are available for steel framed buildings. Guidance on the principles of acoustic detailing are discussed in the presentation along with sources of design guidance such as the online acoustic performance prediction tool. In addition, case study projects are referenced which give on-site acoustic test data. 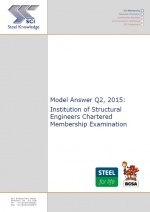 This presentation provides information on the safe erection of steel framed buildings. The presentation begins with some basics about how safe construction practice is established before moving on to consider the specific health and safety objectives for steel erection and how these can be met. The issues that need resolving are contextualised in terms of progress through the stages of design development and construction. 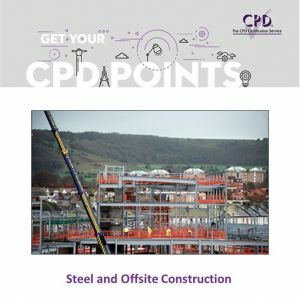 Guidance is given on how competence is assessed and how specifiers may contribute to the selection of a suitably competent steelwork contractor. The importance of dialogue between designers and constructors is developed. 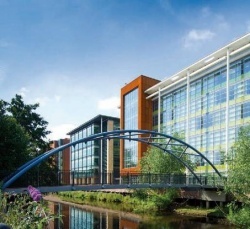 The BCSA and Tata Steel held two Fire Engineering Seminars during June 2013 to educate architects and engineers in the principles and techniques that they need to know about fire-safe designs and to explain how these are applied in practice. Leading fire engineering practitioners from the UK shared their knowledge and presented case studies. The Association for Specialist Fire Protection outlined their work in maintaining standards and supporting specifiers within the construction sector, and informative presentations by expert speakers from the BCSA helped to raise awareness on the most recent developments in the most cost-effective methods for designing buildings for fire. 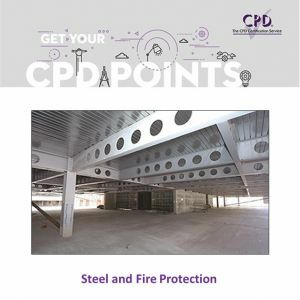 Topics covered included: Legislation and trends; the work of the Association for Specialist Fire Protection; testing, principles and practice; simplified structural fire engineering; the design of unusual steel structures, including The Shard; and how architects and engineers can gain the best value from fire engineering. 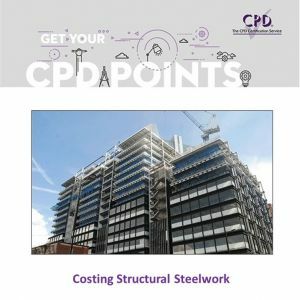 The UK steel construction sector benefits from the presence of a competitive structural fire protection industry, which has resulted in reduced costs and a steady supply of cost effective and innovative products. This has been complemented over the past two decades by a rise in the use of structural fire engineering, a development which has provided designers with an alternative to the restricted approach provided by prescriptive approaches. Both of these have contributed to significant improvements in building economics and efficiency. The aim of this webinar is to give designers an overview of what fire protection materials are available, their costs and pros and cons. It will also provide case studies of fire engineering in buildings and provide guidance on when and where it should be applied. 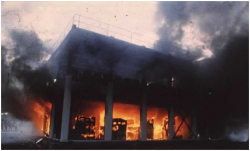 The legislative background to fire precautions in buildings. Types of structural fire protection, trends, costs, advantages and disadvantages. Introduction to structural fire engineering. Thermal mass is the ability of the fabric of a building to absorb and store heat. Effectively utilised as part of a whole building HVAC strategy, it can reduce the energy required for cooling and, in some buildings, remove the requirement to provide air conditioning entirely. 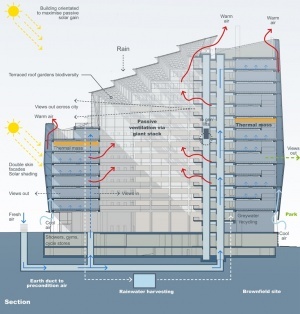 In modern multi-storey, non-domestic buildings, the greatest accessible thermal mass is found in the concrete slabs which commonly form the upper floors. The aim of this webinar is to give designers an overview of the fundamental principles behind thermal mass, how it works and its limitations. It will also provide case studies of steel framed buildings which have used thermal mass.